Since you are reading this article, you probably want to make a name in real estate business. That is great, but everybody knows how hard can be to create a successful real estate landing page template. 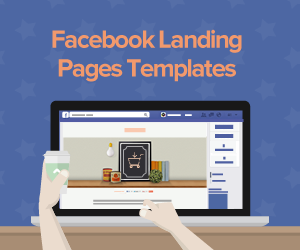 Marketing is one of the inevitable factors in building an enterprise, but if you are new in the world of online marketing, the term ‘landing page’ does not reveal a lot to you. To make it simple, a landing page is a web page which serves to convert visitors into customers, and serves the purpose of encouraging the visitor to take an action you want them to. A landing page should always be distinct from your website. The only purpose of the landing page is to bring you conversions, following the formula visitors => customers. We present you with practical ideas how to use a landing page to quickly start your real estate business. As it has been pointed out, a landing page helps you convert a visitor into customer. A landing page is tightly connected to an online call-to-action. For example, people ‘land’ on your real estate landing page after clicking on an online ad, which contains your call-to-action. Be sure that your landing page has the exact same call-to-action the visitor clicked on to get there. It is the single most important content on your landing page. So make sure it is put on top of the page, preferably just below the headline. One of the main tasks of any landing page is to collect user information, enabling you to continue with marketing efforts. The best way to collect user information is through forms. The form should demand too much information however, just the relevant one, like name, email, country or phone number. Of course, adjust the form according to your business needs. Call-to-action button and the form should be close together on the page. 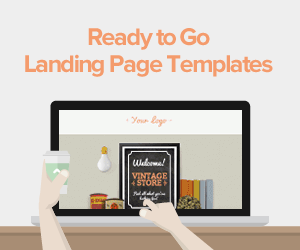 How your landing page is designed crucial for your business. It tells the visitor much about you and what are you trying to sell. Competition is harsh in the real estate business and you will need a design that stands out from the rest. There are many free landing page builders available online and they offer a variety of customizable templates. Your page design should closely reflect your business strategy. As a real estate marketer, you need to provide clear and strong reasons to customers why should they choose you over other competitors, and the landing page must convey this message. 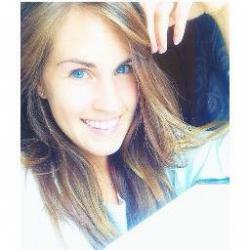 Provide real evidence of your success, such as images of happy customers and homes you sold. To improve your credibility and further persuade the visitor that you are a good choice, provide a bulleted list of benefits you offer to potential clients. The list should be short and effective, taking care to point out only the strongest reasons why your real estate business is the right choice to make. Any successful real estate business should provide social proof demonstrating the quality of their service. Client testimonials are one of the best ways to do this, and they are a great boost for your marketing credibility and they also build trust between customers and you. It is advisable that you make sure your client testimonials are proven. Social proof can include real pictures of satisfied customers, as well as provide quotations, with clients recommending your services and talking about their positive experience. Client testimonials should feature prominently on your landing page, but avoid being too aggressive. Good business strategy always finds ways to attract customers. Needless to say, your landing page exists solely for this purpose. In order to attract customers and boost your conversion rates, which is particularly important when you are still making a name for yourself in the real estate business, you can motivate visitors by placing special offers on your landing page. It can be anything from offering exclusive sale options to visitors who sign in immediately or within a specified timeframe, to giving discounts to new clients who sign in through your landing page. A visual theme of your real estate landing page template must reflect your business strategy and drive customers to take action. Among many visual ideas for landing page, use the one which suits business needs. The most successful real estate agencies usually have property related visual themes displayed on their real estate landing pages. Keep in mind not to saturate visitors with displaying too many images on your page. A logo is a symbol which helps people recognize your business, it can greatly benefit your marketing effectiveness as it helps distinguish yourself among competition. You can hire a professional to design a logo for your landing page and Real Estate Company. You probably know that a great majority of the world’s most famous brands use a logo. In fact, we recognize some of the most popular brands such as Coca Cola, Pepsi, Starbucks, FedEx, thanks to their massively popular logos. The success of your landing page and conversion rates it will generate largely depend on the template you will use. So choosing the right one is a big decision. 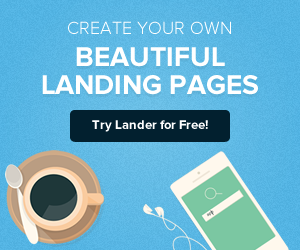 Most popular landing page builders, such as Lander, offer a trial period of 14 days, during which you can try out some of the best real estate landing page templates they have to offer. 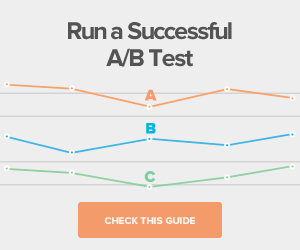 Not all landing pages present online are successful. One of the main reasons for that is that many of them don’t present information in a clear way and don’t communicate with the visitor. Keep in mind that unnecessary, vague and irrelevant information should always be avoided. Cluttered real estate landing pages only serve to drive customers away. A landing page should grab the attention of your visitor and quickly persuade him to take action, if this is not the case, your landing page probably needs a major overhaul. Make sure social media buttons are displayed on your landing page. You always want to connect your page with your social media pages. Encourage people to share and comment, this way you improve your visibility and marketing effectiveness. Try to keep the most important information above the fold. Visitors usually don’t scroll down the page unless they are really interested, so you will want to grab their attention as soon as they see the page. Don’t give visitors too many choices. Explain all the benefits of signing up now, for example, and if not, there always is ‘no I don’t want to sign up now’ option. There should be no middle ground. Post a video talking about your success in the real estate market and what you have to offer.